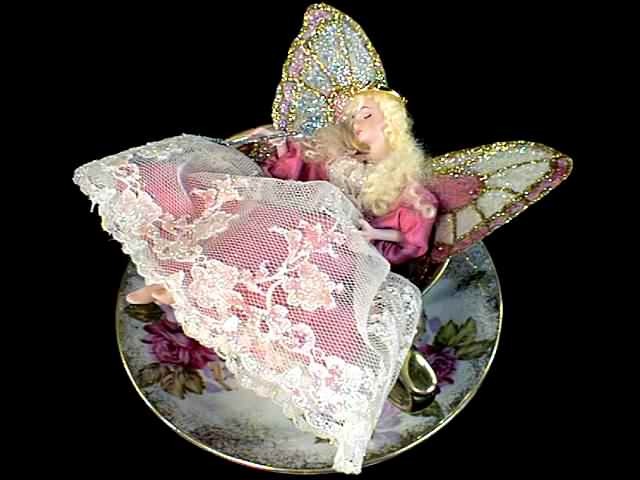 Fairy Princess Glenda is fast asleep in her gorgeous tea cup. The Japanese porcelain teacup is absolutely beautiful, with its many roses in full bloom. 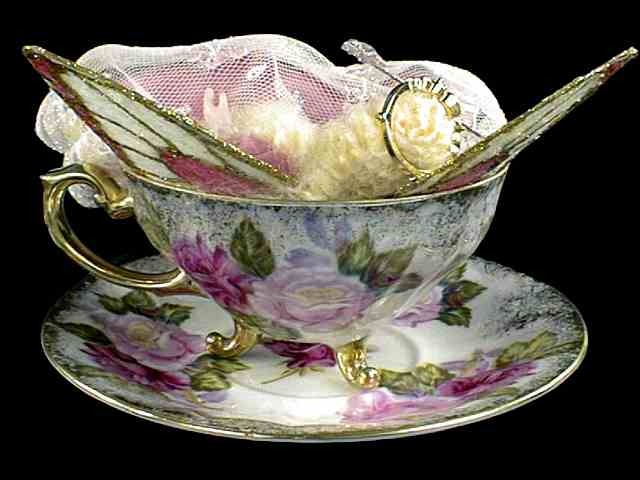 The teacup is lined in shimmering gold, as are its handle and feet. Glenda is attired in an exquisite hand-made gown of rose pink moire' taffeta with an overlay of the finest lace. Her pantalets are made of the same moire' fabric. She wears fairy jewelry and her crown is a wearable cubic zirconia fashion ring. Her matching wings and her star-topped fairy wand are, of course, all hand-made and hand-painted. Now who would have the heart to awaken her? Maybe some dashing Prince? 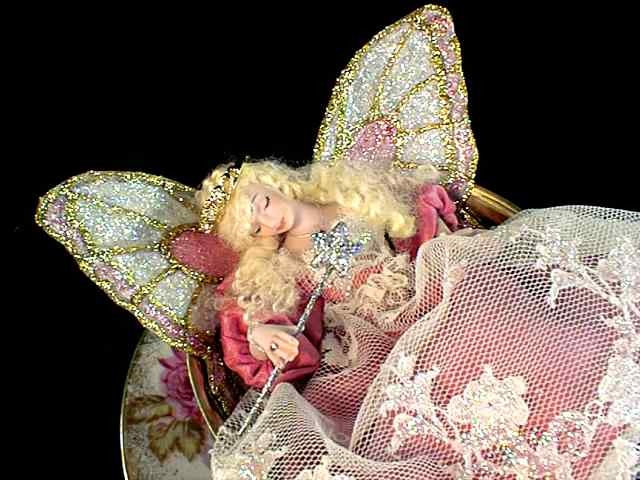 Glenda is a handpainted porcelain miniature fairy doll, about 5" tall from head to foot. Her wingspan is about 5". Her teacup and saucer are about 3" high and almost 6" in diameter. A wonderful, one-of-a-kind creation of the artist JoAnnJ of Galleria d'Juliani. She is hand signed by the artist.